For Canadians, it is considered borderline sacrilegious to not be a hockey fan. I know this because I am not actually a hockey fan. Despite this horrible aspect of my personality, I still managed to greatly enjoy GOON, a new hockey movie that practically does away with the sport itself and strips it down to what everyone secretly really wants to see – the moment the gloves come off and these massive guys on skates go to town on each others’ faces with their fists. Yes, I’d say Baruchel is a very big hockey fan. It suits him well too. The second reason, is the film’s star, Seann William Scott. Famous for comedic parts in the AMERICAN PIE series and the classic, DUDE, WHERE’S MY CAR?, Scott would not be my first choice for the sensitive role of Doug Glatt, a guy going nowhere and getting up there in years, who discovers his calling working as an enforcer for a minor league hockey team in Halifax, Nova Scotia. 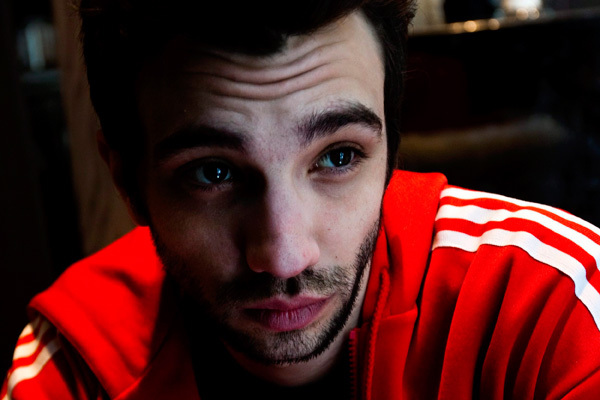 For Baruchel, there was no other choice. Awesome! Looking forward to the release. It is a really solid film. Lots of good laughs and plenty of vulgarity to boot!